Using this method of opening some of my existing Pinterest Boards and creating new Pinterest Boards is a great way to not only increase traffic to your website but as it turns out it also results in lots of new Pinterest followers! How To Join Pinterest Group Boards. If you have any questions please pop them in the comments. I just want to drop in and thank you for your training, it´s excellent. I´m have been focused on Pinterest (and then I will focus in Instagram) because I believe it´s the most growing social media from my business. I have got a lot of ideas from you and added with ideas from Neil Patel. But your idea with FB Pinterest group was the huge breakthrough (all other was good too), so good (for sure with a mix of luck because it´s so short time) that my most popular post grows in impression from few hundred to 27399 in 24 hours! And the board is in from around few hundred impressions to 28361! I know that I have found someone which is very popular but even so the mix of you and NP have been a big success. I must add that for my surprise because I don´t believe so much about the quality of Google plus but use it always for ranking, that when I found special groups there for my niche it has count very well in my ranking. It is a pleasure, I am so glad you have found this helpful. By the way I am busy trying out something called Tailwind. From what I hear ti can automate a lot of the process of Pinterest marketing by scheduling posts.... I am going to play around with it for a while before I share anything on it but I have a feeling it is going to be an amazing tool! Yes, I was looking at it. I like it too that it works too for Instagram because I haven't been happy with the software I have seen about using a laptop in Instagram. I´m not good en using the mobile there so I hope this will work. I heard one thing about it which I don´t know if it´s true but one person said that it could have bad effort in the Pinterest algorithm to use it about the boards. But I don´t know if it´s true or not. I believe that could be true about the Pinterest algorithm to be honest, but I think that is more to do with HOW you use it than using it. That goes for any automation tools that you use though. One question, I have used the pingroup too but have been in problem to find groups. Are any other way you know? Except of course to use search in Pinterest :) Looking for quicker way than that. Facebook groups for Pinterest Boards have worked really well for me. Thanks for this training Lynne. I will be going through all of them. I did one and I was able to successfully create a board and put my first pin on it. I never thought I would ever understand Pinterest. I really appreciate your good work. Thank You. I am so happy to help you with it. When I first signed up for Pinterest I had no idea how to use it and I left it for a very long time. I wish I had started building my accounts sooner! I will tell you about my progress. I will be making graphics in Canva to promote my site and pin them on Pinterest. BTW you are a very good trainer. I'm glad you think so :) When I learn something new I like to share it. I love the work you have done. Now to put it all together. What is your pinterest name? Thanks for your time, Tom. Thank you Lynne, I am going to check out all of these training links you have posted. I think Pinterest is going to be a really important aspect of my website. 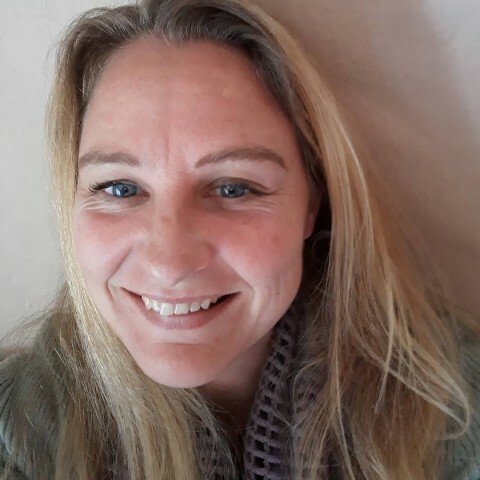 I personally kick myself for not getting started earlier, it is an incredible way to get free traffic to your website! This looks great for adding followers after I have a few hundred. Unfortunately, I just have a handful so far. Any suggestions about getting that first few hundred? You have lots of previous How Tos - where would you start? 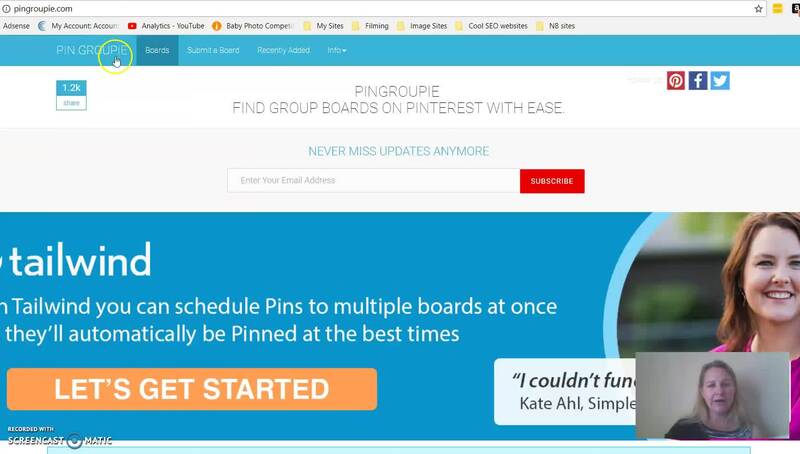 I would start with adding great pins, and joining big boards :) Follow all the rest of the training that I have published on Pinterest and then start with adding collaborators through Facebook groups, before you know it you will be adding to Pingroupie too! Will do Lynne - thanks... Seems like lots of work, but that should be no surprise - you get out what you put in, generally. Seems like a powerful platform, so I expect it's worth the effort. Wow, this is awesome. Thank you so much for sharing this tip. I was also curious how to add the email addresses to the group, but you covered that in the video too. I'm looking forward to trying this out as I enjoy using pinterest to boost traffic. Enjoy! It is working great for me! I'm pinning you to my bookmarks as the Pinterest expert Lynne! Great training Lynne! I have bookmarked for reference. Thanks so much.